Works have been initiated this summer to unearth a stadium in the ancient city of Laodicea, a property on UNESCO’s tentative list for World Heritage Sites. The stadium was a venue for sports competitions and gladiator fights in ancient times and is located in the western Turkish province of Denizli. 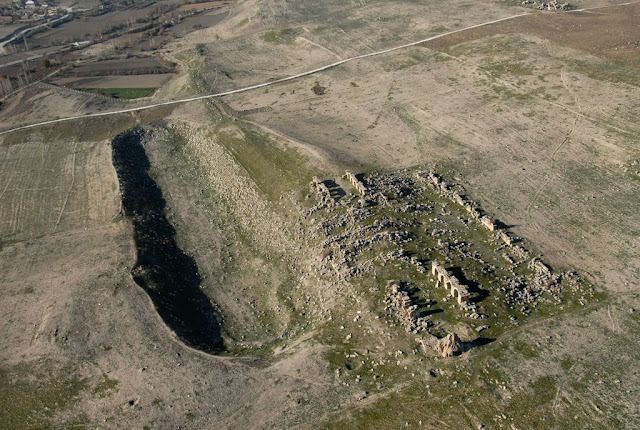 Excavations and restorations have been ongoing in the ancient city for 13 years under the leadership of Professor Celal Şimşek of the Pamukkale University (PAU) Archaeology Department. Some 4,000 artifacts have been uncovered so far. The artifacts include figures, sculptures, agricultural tools, and household products and have been under protection. The Sacred Agora, which is home to one of the seven holy churches mentioned in the Book of Revelation but which collapsed in an earthquake along with its columns in 494 A.D., has been restored and revived. 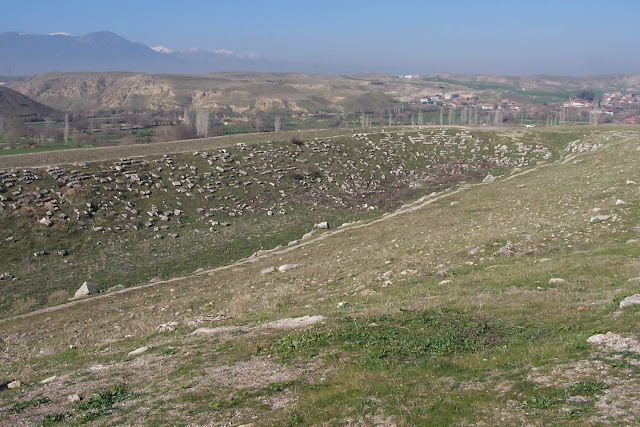 A project has also been initiated to unearth the Laodicea Stadium, located on Stadium Street in the ancient city and known as the largest stadium in Asia Minor in the era. The project has been approved by the Cultural and Natural Heritage Preservation Board and gets supported by the Merkezefendi Municipality. When it is finished, the stadium will be revived after 1,494 years. Speaking to Anadolu Agency, Professor Şimşek said this year’s excavation and restoration works have still been continuing in the ancient city, focusing on the project made for the revival of Stadium Street. “The recovery of the ruined columns continues. They will be revived with their arches within three months. The street will regain life after 1,500 years,” Şimşek said, adding that the street where the excavations are continuing is very important. “It is a gigantic structure that is 285-meters high and 70-meters wide. Right next to it is a bath complex. It is one of the biggest bath in Asia Minor. There is an agora and an assembly building next to it. This place was a field of both sports and administration and people came together. From this aspect, the street has importance too,” said Şimşek. Şimşek said many competitions were held in the Laodicea Stadium in ancient times and the names of five-time winners of the competitions were written on inscriptions. “At the same time, this stadium is very important for gladiator fights. The competition was held not only for this city but also the other cities in the Lycus lowlands. All Olympic-size games, local or big sports competitions, and gladiator fights have been held in this stadium,” he said.